Many people consider High School to be the best days of there lives. The glory years, just before all that responsibility that adult life brings. One of the most important aspects of these years is there High School Prom. It is definitely one of the most luxurious weekends they will have until perhaps there wedding day. Many proms are held in lavishly decorated country clubs, and even catered with an excellent DJ as well. The girls spend there whole day getting ready, getting there hair done to perfection, and picking out the most beautiful dresses possible. The guys also groom themselves, for once, and put on gorgeous tuxedos and make sure that they are ready to have the night of there lives. Naturally, you also want to provide the best possible transportation for the group. That's where we come in. One of the most popular uses for our party buses is using it during the prom season. Many of our drivers are actually school bus drivers during the week, and they're the people that we get to drive your kids to there big day. Your safety is our number one priority, and we make sure that your children are well taken care of throughout the night. Our party buses also provide the best features for the group such as comfortable and safe leather seating, and a sound system for them to blast all there favorite hits. 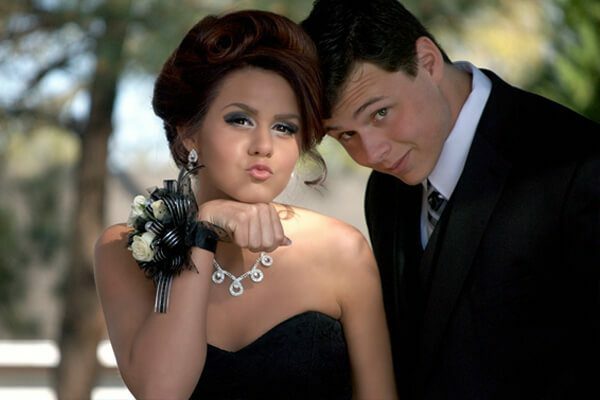 We truly provide your young adults with a safe and fun experience for there prom. Because of Prom's obvious popularity, its important to note that you should book your trip as early as possible so that you can be sure you get the best bus to fit your young adult's style and size of group. Our quality is no secret, so our buses fill up fast!